Seminole Dining donated $700 of food to Leon County Sheriff’s Office for a fundraising event earlier this month. Seminole Dining is “all in” when it comes to partnering with local law enforcement officials for a good cause. 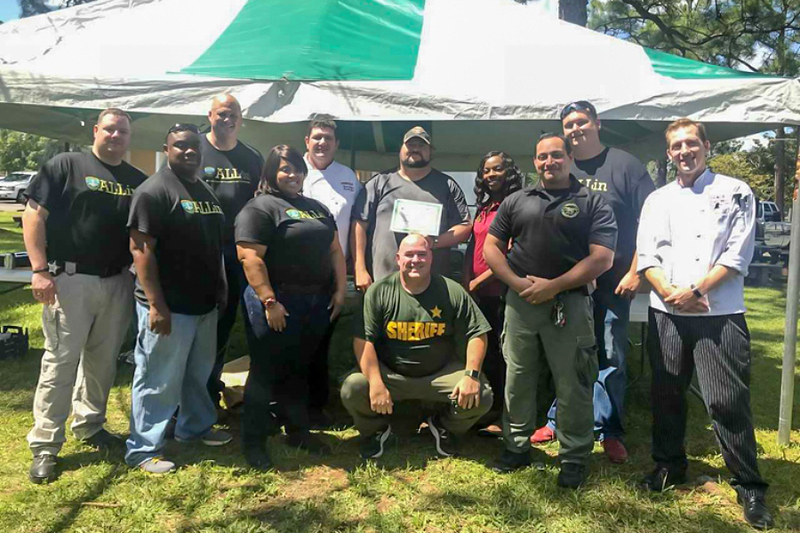 On Friday, Sept. 14, 2018, the Leon County Sheriff’s Office hosted the third annual American Heart Association Barbecue, a lunch featuring a silent auction and raffle that raised funds for heart disease research. The community event is part of Leon County Sheriff Walt McNeil’s “all in” public safety strategy. Seminole Dining and Sodexo participated by donating $700 worth of pulled pork and bacon. It’s not the first time Seminole Dining provided food for law enforcement officers. During a recent search for a missing Florida State University student, Seminole Dining provided boxed lunches for public safety officials involved in the search. Seminole Dining also donates food once a month to the Kearney Center, a community emergency center that serves Tallahassee’s homeless population. “We feed about 300 people there,” Gilbert said. The Leon County Sheriff’s Office raised more than $11,000 for the American Heart Association. 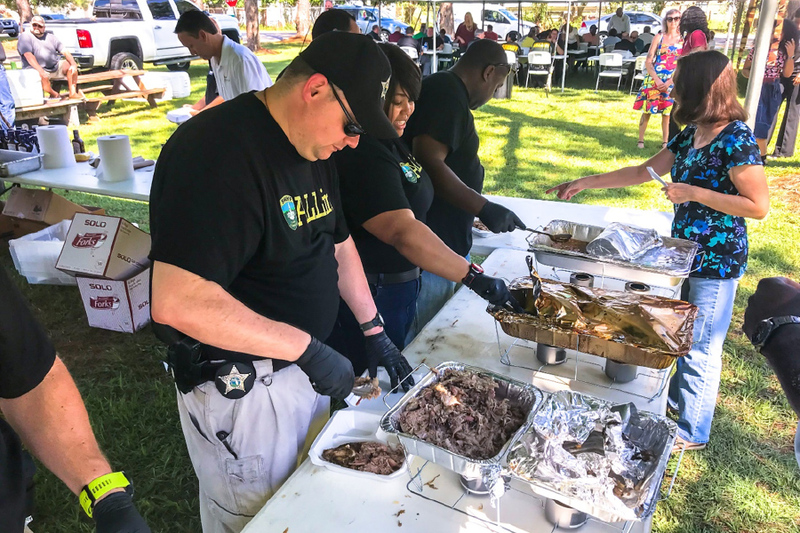 The event, held on the front lawn of the sheriff’s office, served meals to more than 500 ticket purchasers. Law enforcement officials delivered more than 350 to-go boxes. Leon County Sheriff’s Office Detective Joe LeSerra, who has organized the barbecue since its inception, agreed.